Nestled in a stand of mature oaks, Southwind sits majestically overlooking a sparkling 10 acre lake. 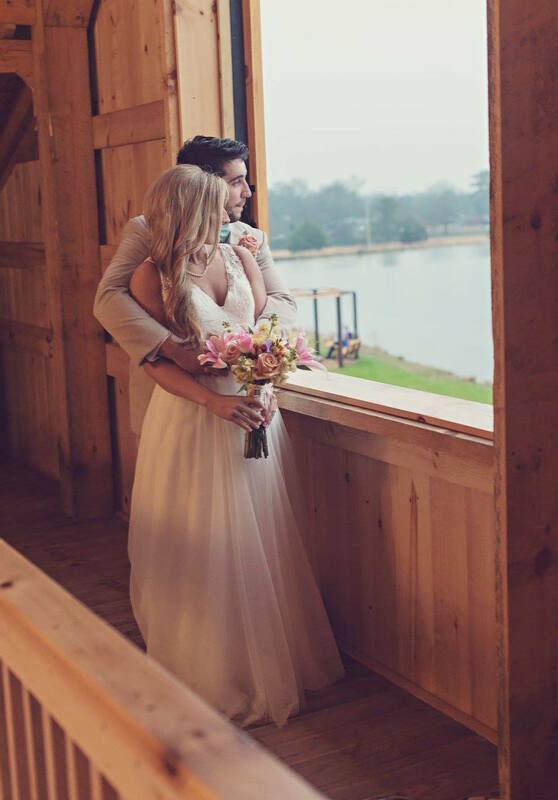 As part of the six hundred acre farm, in our family for over 100 years, Southwind offers the perfect setting for your wedding, event or family gathering. The peaceful, wooded surroundings of Southwind provide an inspiring backdrop for your wedding day, family reunion, business retreat or any gathering. With a variety of scenic locations for ceremonies and receptions, weddings at Southwind are beautifully unique for memories that last a lifetime. If you want to the experience of nature and beauty for your event, come visit Southwind – you won't be disappointed! This towering Amish-styled ​structure is the perfect setting for a wedding or elegant reception. ​each side of the room. Downstairs the groom will find a lounge for dressing and hanging out before the big event. In the large space downstairs two sliding doors open out onto The Patio. is a 2000 square foot patio, perfect for an outdoor wedding or reception setting overlooking beautiful water and trees. The Pavilion is a wonderful 2400 square foot space adjacent to The Barn. This space can be custom decorated for any occasion. the opposite side looking out into a gorgeous lake. Ceiling fans overhead create a comfortable breeze on any day. ​The perfect place for a wedding, reception or dinner.